Clapham is an area of South London, located mostly in the London Borough of Lambeth. Clapham covers a largish area surrounding Clapham Common, with Holy Trinity Church (1776) close to the North Side. The Old Town and High Street to the east of the Common have a lively set of restaurants and shops. At the end of the twentieth century and beginning of the twenty-first, local property prices rose steeply, and Clapham is now home to a rather homogeneous grouping of affluent young white collar workers in their twenties and thirties; the "man on the Clapham omnibus" is nowadays likely to be a trainee accountant, lawyer or investment banker. Most of the High Street's bars and restaurants cater for them and are packed to the rafters at weekends. However to some degree the area retains a vestige of its formerly mixed character, with different social and ethnic groups living alongside each other. The other side of the Common, encompassing Battersea Rise, the valley with Northcote Road running along its bottom and the area known as "Between the Commons" - the other common being Wandsworth Common - is popular with young middle-class professional families. Such is the density of "yummy mummies" in the area that it is popularly known as "Nappy Valley". The derivation of this phrase may be either a variation on Napa Valley, the Californian wine-growing region whose produce is presumed to be drunk in large quantities at residents' dinner parties or on Happy Valley, the enclave of upper-middle-class Britons in pre World War II Kenya. Although this area is often referred to as Clapham, it is in SW11 and is, in fact, historically part of Battersea. As a result it is now part of the London Borough of Wandsworth, not Lambeth. 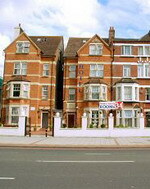 Euro Hotel Clapham is an attractive property, overlooking Clapham Common Park. 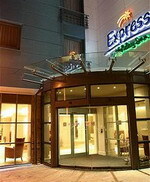 The hotel is an ideal base to explore London and is conveniently located close to major road links and public transport. Trendy bars and restaurants are within walking distance on Clapham High Street. The Oval Cricket Ground is only a few stops away by underground or bus. All the en-suite rooms are well appointed with modern facilities. 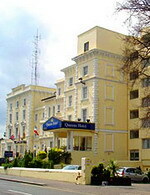 At the Euro Hotel Clapham friendly service and value for money combine to offer s pleasant stay. Euro Lodge Clapham is located with an excellent view overlooking the open space of Clapham Common. The lodge is just a few minutes walking distance to Clapham Common tube station, which is fifteen minutes of central London. The hotel has comfortable and well furnished rooms that are equipped with standard amenities. You can begin your day with the delicious breakfast served at the in-house breakfast room, which is located by the reception. The lobby is a perfect place to relax and meet friends or business delegates. During leisure, you can explore the city and its surrounding attractions. Covent Garden is a district in central London straddling the easternmost parts of the City of Westminster and the southwest corner of the London Borough of Camden. The area is dominated by shopping and entertainment facilities and contains an entrance to the Royal Opera House Covent Garden, which is also widely known simply as "Covent Garden", and the bustling Seven Dials area. The area is bounded by High Holborn to the north, Kingsway to the east, the Strand to the south and Charing Cross Road to the west. Covent Garden Piazza is located in the geographical centre of the area and was the site of a flower, fruit and vegetable market from the 1500s until 1974, when the wholesale market relocated to New Covent Garden Market in Nine Elms. Nearby areas include Soho, St James's, Bloomsbury and Holborn. The dramatically designed St Martins Lane, A Morgans Original, stands in the West End Theatre District of London, England. This property is located adjacent to the London Coliseum and is near Leicester Square, Soho and Covent Garden. Ian Schrager's and Philippe Starck's minimalist design, artful lighting and creative use of technology replace traditional ambience at St Martins Lane hotel. The lobby showcases a virtual aquarium and houses an elevator with video displays. Cuban and Asian fare harmonize at Jeffrey Chodorow's Asia De Cuba & Rum Bar. 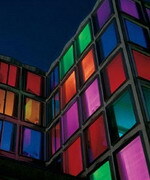 The Light Bar lists dramatic lighting, striking décor, and signature cocktail recipes on its roster of creative accomplishments. Famous cocktail concoctions include the Raspassion Martini and Lighten Up Champagne. The Light Bar offers Asia De Cuba & Rum Bar's menu, while DJs enlighten musically inclined patrons by playing the day's hottest tracks. The hotel partners with Gymbox fitness centre, and features cardiovascular and strength-training machines equipped with individual televisions. 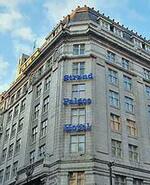 The Strand Palace stands within the busy Strand district of London, England. Covent Garden is located two blocks away, and the River Thames flows two blocks from the hotel. The hotel's marble-clad lobby reflects is furnished with tropical flora and leather sofas. Restaurant options include the Strand Carvery that serves daily buffet-style breakfasts and offers a selection of grilled meats and a cold buffet. Open for dinner Monday to Saturday, and open for lunch on a Sunday. Johnston's Brasserie prepares modern European cuisine and continental buffet breakfasts. Mask Bar attracts a pre- and post-theater crowd, and boasts a bold black and orange colour scheme. Pub atmosphere predominates at Hops] Bar. Wireless Internet access is available in public areas of the hotel, and eight function rooms accommodate up to 200 guests. A shopping arcade includes a jewelers, and a souvenir shop. 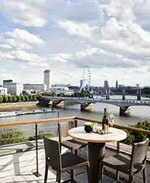 Swissotel, The Howard is located on the Victoria Embankment and overlooks the River Thames in London, England. This property stands across the street from the Temple Underground Station and is positioned six blocks from Covent Garden shops, theaters, and restaurants. Hotel Features. The light-infused lobby displays a blend of traditional and contemporary décor anchored by elegant glass sculptures and a mirrored reception desk. Fluted columns, contemporary mauve-toned couches and chairs, and fresh flower arrangements create a welcoming environment. 12 Temple Place Restaurant serves modern British cuisine using local ingredients. Tempo Bar opens onto a quiet courtyard that houses a playful waterfall, a pond and a gigantic yucca plant. This bar features black-lacquered cabinets that conceal malt whiskies and cigars. Mauve Bar presents stylish ambience and serves afternoon tea, light meals, wines, champagnes and cocktails. Cricklewood is a district of North London, England whose northeastern part is in the London Borough of Barnet, southwestern part is the London Borough of Brent and southeastern part is in London Borough of Camden. 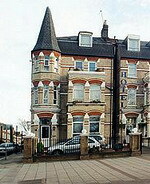 Combining the historic and the contemporary, the Crown Moran Hotel is located in Cricklewood, in northwest London, England. Hampstead Heath, a large, hilly park with central London views, is two-and-a-half miles away. Regents Park is three miles south, as is Camden Town, with its famous market. Madame Tussauds wax museum and the London Planetarium are three miles away. Cricklewood train station, one stop from the Underground system, is 300 metres away, and Kilburn Underground station is within a mile of the hotel. Hotel Features. 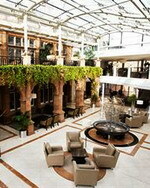 The red-brick Victorian Crown Moran Hotel has a circular glass-and-steel extension linked by an atrium. Concierge services and a currency exchange are available. There's Irish and global fare dinner in King Sitric restaurant, which also serves breakfast. The Crown, the original pub, retains its Grade II-listed status and serves food and drink from lunchtime onwards. The pub serves steaks, daily specials, Irish stouts and wines. Croydon is a large town and major commercial centre in south London, and the principal settlement of the London Borough of Croydon. It is located 9.5 miles (15.3 km) south of Charing Cross, and is one of ten major metropolitan centres identified in the London Plan. In modern times Croydon has developed an important centre for shopping with the construction of the Whitgift Centre, which opened in 1969. In the same period, the Fairfield Halls arts centre and event venue opened (1962). The Warehouse Theatre opened in 1977. The 1990s saw further changes intended to give the town a more attractive image. These include the closure of North End to motor traffic in 1989 and the opening of the Croydon Clocktower arts centre in 1994. Tramlink began operation in May 2000. A new equally large shopping centre, Centrale, was opened in 2004 and lies opposite the Whitgift Centre, straddling the site of the smaller Drummond Centre and what was once a large branch of C&A. There are now plans for a large new shopping centre, Park Place, the redevelopment of the Croydon Gateway site and extensions of Tramlink to Purley, Streatham and Crystal Palace. Croydon has become the second largest place to shop in the south east after central London offering a range of shops and department stores. The Cousldon Manor is a traditional English manor house set in gardens overlooking its own 18- hole golf course, 15 miles from both Gatwick Airport and central London. The 35 guestrooms are decorated shades of cream and blue, with antique-style furniture. In-room amenities include satellite TV, tea and coffee making facilities, toiletries, Internet connections, hairdryers and minibars. Executive rooms also offer mineral water, DVD players and bathrobes. Health conscious guests have free access to the onsite leisure club, which includes a gym, sauna and steam room. Creche facilities are available for guests with children. Guests who are feeling really energetic can enjoy racquet sports including tennis and squash and take part in aerobics classes in the dance studio. The hotel boasts an 18-hole golf course, par 70 stretching over 6073 yards through beautiful parkland. Offering comfortable accommodation and convenient facilities, the hotel provides you with all of the quality amenities to make your stay a memorable one. The Express By Holiday Inn Hotel is located in the heart of the city and is a perfect location to lodge in when you travel to Croydon. The hotel is the latest both in contemporary design and technology with 156 bedrooms, with individually controlled air-conditioning and state of the art TV system which allows high speed internet access. The hotel offers a relaxing lounge/bar with plasma TV, adjacent to the lounge is the Great Room where your Continental breakfast is served each morning. The hotel also boasts a vending area serving snacks and soft drinks 24 hours a day. 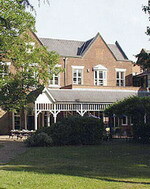 The Norfolk House Hotel is a traditional Victorian property with a light yellow façade, situated four miles from Croydon and 12 miles from the attractions of Central London. London Gatwick Airport is 19 miles from the hotel and takes 35 minutes to reach by car. The hotel offers complimentary wireless Internet access in the communal areas and houses a function room with a capacity for up to 100 people. Complimentary parking is available on site and further amenities include laundry facilities and concierge services. 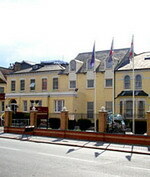 The Norfolk House Hotel houses a restaurant and bar. The Norfolk Coffee House is a modern restaurant with black and white decor, which serves a range of international dishes, and the Norfolk Bar is an informal bar serving drinks, cocktails and a selection of snacks. Crystal Palace is a residential area in South London, England named from the erstwhile local landmark, The Crystal Palace, which occupied the area from 1854 to 1936. It is the location of Crystal Palace Park, which is entirely contained within the London Borough of Bromley. However, the wider area has no defined boundaries and straddles the convergence of five London boroughs and three postal districts. It is contiguous with Anerley, Dulwich Wood, Gipsy Hill, Penge, South Norwood, Sydenham and Upper Norwood. It is one of the highest locations in London, reaching 109 metres (357 feet) at OS landranger map reference TQ341714. Two television transmitter masts make the district a landmark location, visible from almost all parts of the London area. The Queens Hotel Crystal Palace is a traditional style property situated in Crystal Palace, half a mile from Crystal Palace Park and the Horniman Museum, eight miles from the centre of London. London Heathrow Airport is 38 miles from the hotel with an approximate driving time of 45 minutes. Hotel Features. Guests can relax in the lounge and watch television whilst enjoying a coffee. Drinks and bar food are available in the Queen's Bar, and there is a pool table. A function suite can accommodate up to 550 guests for banquets and private events, and those arriving by car will find a secure complementary car park. Half a mile away Crystal Palace Park offers guests great views over London and the chance to enjoy a jog or walk in wide open spaces. Situated by the Lower Lakes there are huge life-size statues of dinosaurs scattered around the undergrowth and by the waterside. In the park there is also a museum, a concert venue, water features, boating lake and London's largest maze.